Almost Cute Enough To Make Me Vegan. Almost. Almost. But not until I have to start killing my own dinner. Oh for crying out loud. Such cuteness!! 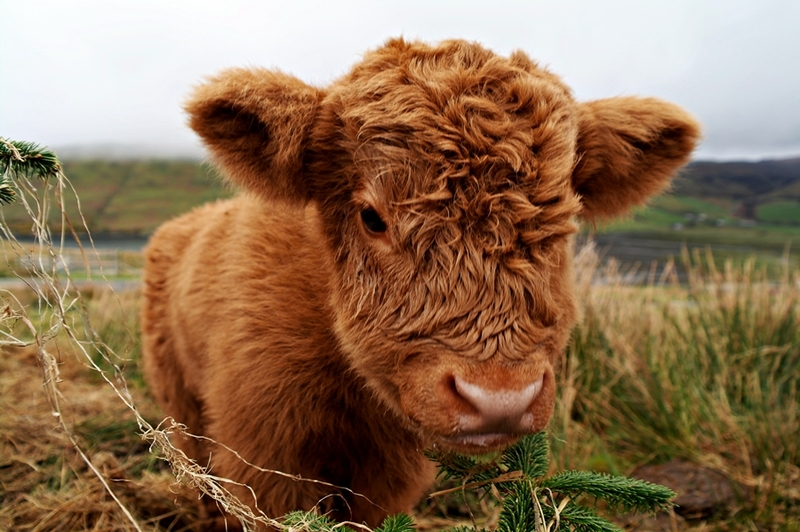 I’m determined to come back in my next life as a Highland cow. They are truly squishable – minus the horn part. Would look even cuter with grill marks and set next to a nice Cabernet Sauvignon, baked potato and perhaps some fresh asparagus. Maxwell is really hungry. Poor little cow.